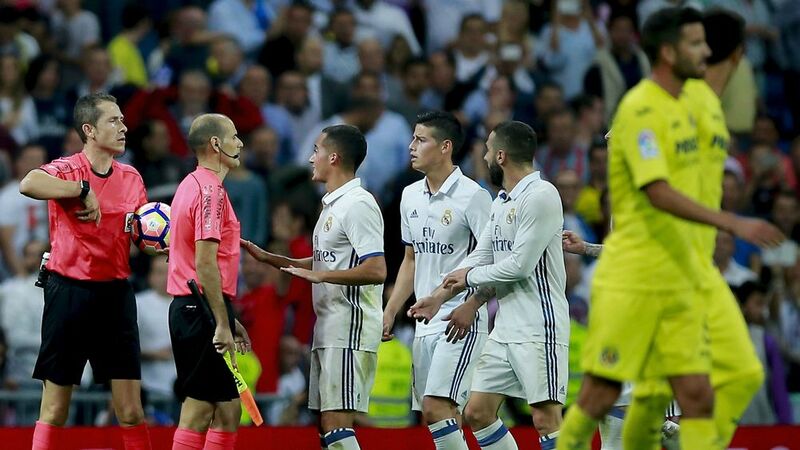 The Real Madrid midfielder, James Rodriguez became furious with the referees for not being strict with Villarreal. The teams finished with a 1-1 draw at the Santiago Bernabeu on Wednesday. James admits that his team did not start with the right state of mind in the first half against Villarreal, but also criticizes the referees for not adding more time. The Colombian player states, “Villarreal wasted a lot of time and did what they wanted in that respect. At the end the referee only added three minutes, but there should have been at least five or six minutes.” Rodriguez also said that he believes that his teammates and himself played an extremely good second half and thinks that they deserved to end with a more suitable draw.